Visual storytelling is gaining more and more traction in social media platforms. Users these days are more inclined towards infographics, photos, and videos than purely text-based content, especially during the advent of social media and fast information. Brands are wise to take advantage of this trend in their marketing strategies. And you would be too, if you learn to apply visual storytelling in your PowerPoint design. Humans are highly visual creatures. We’re naturally attracted to beautiful colors and interesting patterns. In fact, our brain is able to process images 60,000 times faster than information presented in text. It’s also easier for us to retain visual information. According to Dr. John Medina, after three days, we’re able to recall 65% of information if it was presented with images or illustrations. So if you’re presenting information that’s bulky with data, the audience will thank you if you can integrate comprehensible illustrations. Take the usual charts and graphs a step further by weaving stories through imagery. There’s more to visual storytelling than sticking random pictures to your slides. Your statistics won’t make much sense if the visuals you add only serve an aesthetic purpose. Visual storytelling is about using different media that contribute to the message you’re presenting. The infographic, which you can view in full here, showcases the positive effects of car sharing to the environment. It offers a lot of statistics that are perfectly illustrated to create more impact. It’s hard to imagine the difference a vague number makes but through this illustration, you can perfectly see how much carbon dioxide emissions have diminished. 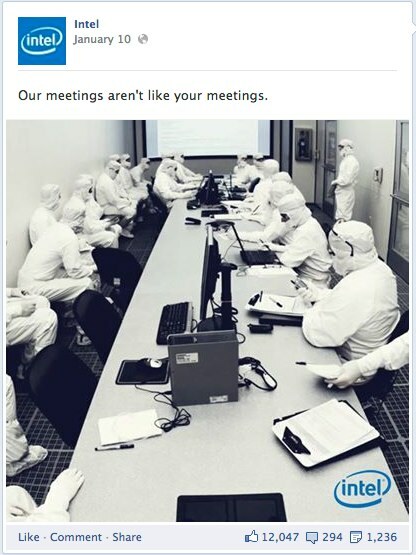 Intel showcases their brand identity while adding a bit of humor at the same time. For your PowerPoint design, make sure you choose pictures with interesting narratives. There’s always a rare gem in the sea of cheesy stock photos. Especially if you know where to look. Your text-based, bullet point-ridden PowerPoint design isn’t helping anyone. It’s not engaging your audience, and it’s not helping you get your message across. Instead, you should consider taking inspiration from visual storytelling. 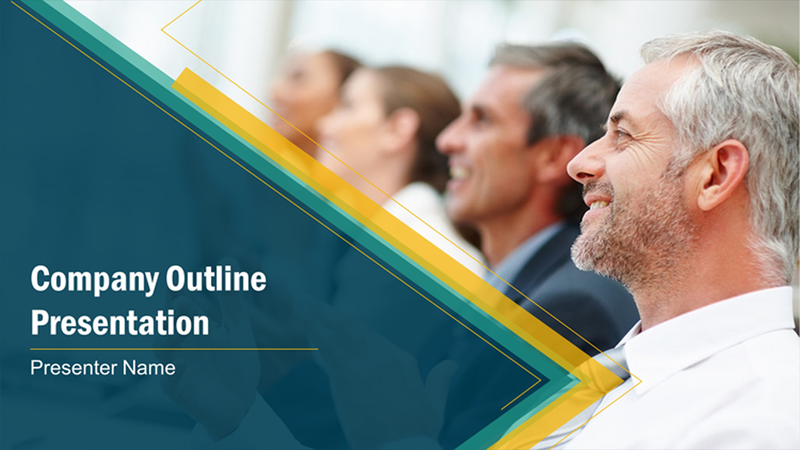 Showcase and illustrate your key points with visual elements, and your PowerPoint design will have more impact. If you need help, contact us to schedule a free consultation. 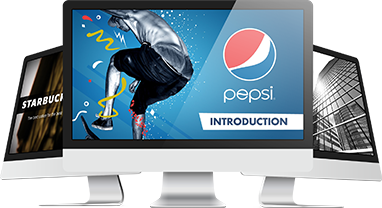 Our professional PowerPoint designers will be happy to take your ideas and turn them into reality.